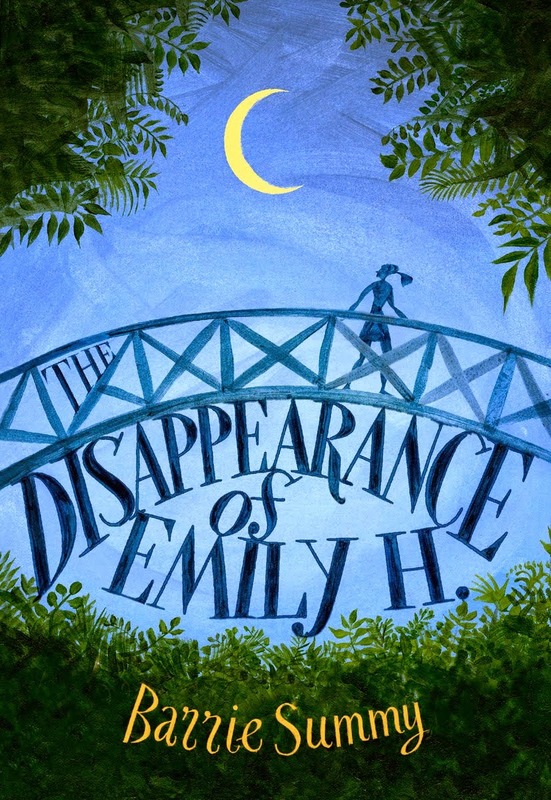 Welcome to the April edition of The Book Review Club! Here's a famous first line for you: "It was a bright cold day in April, and the clocks were striking thirteen." (from 1984 by George Orwell) We have loads of reviews this month, which means we've all been reading good books and want to pass on the word! I met Fran in March of 2010 at the Virginia Book Festival in Charlottesville, VA. She might not remember (there were scads of kid lit authors), but Fran made an impression on me: smart, articulate, helpful, genuine. Above all, genuine. Her middle-grade novel, WHEN THE WHISLE BLOWS, has been on my TBR list since that meeting. Yes, yes, my pile of to-read books is totally out of control! It's threatening to take over the bedroom! Anyway, I finally read WHEN THE WHISLE BLOWS last week during my Oklahoma trip, and I LOVED IT! This past January, Fran was diagnosed with brain cancer. She writes a very honest and heart-warming/heart-wrenching blog about this ongoing journey. Here's the link to Fran's My Unexpected Journey. WHEN THE WHISTLE BLOWS opens on Halloween 1943 in the small mountain town of Rowlesburg, West Virginia. 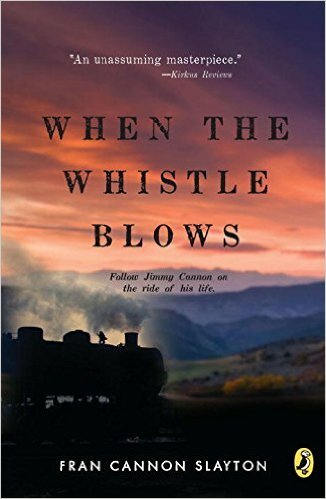 Jimmy Cannon is in seventh grade and wants nothing more than to grow up and, like his dad and older brother, work for the railroad....the "iron horse." Unfortunately, the steam engine is on its way out, and, like the rest of us, Jimmy is unable to stop change. Jimmy's dad, whose birthday is on Halloween, predicts the coming of the diesel engine. By the end of the book, this prediction comes true. 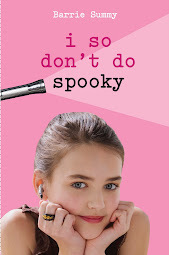 Each chapter is the next Halloween. Which is pretty cool because you see Jimmy growing up a year at a time, all the way to 1949. Also, each chapter gives us a slice of Jimmy's life: pranks with his friends, a robbery, his uncle's wake, a high-school football game, etc. A great strength of this book lies in the characters. They are well developed and authentic. I was sorry to reach the last page and know my time with them was over. As the mother of three boys, I can attest that the author really and truly captured the boy perspective. Another strength is the historical details. They are woven seamlessly into the narrative and dialogue. 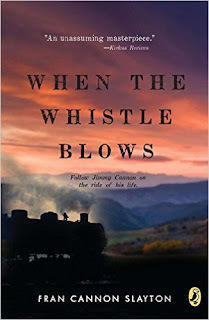 For me, WHEN THE WHISTLE BLOWS is reminiscent of a Jack London or a Richard Peck novel. Yes, it's that good. Not something I normally do as part of a book review: Fran will need help to cover medical expenses. 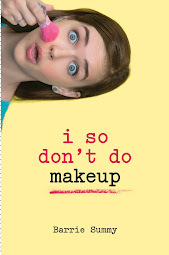 Buying this book would help. For other ways to pitch in, click here.